Attention all Home Buyers!!! Looking to live in the country on just a few acres yet you want privacy and easy access? 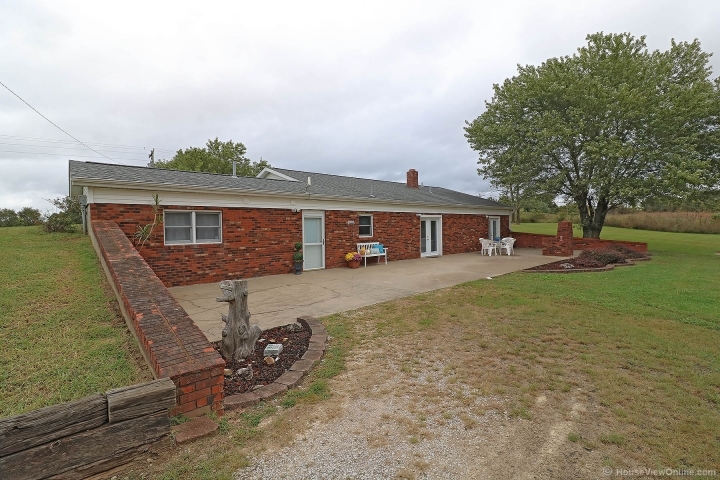 Look no further than this 1800+ Ranch design on 3.46 acres in Cape County with a short drive to I55. Dwelling features 4 bedrooms, 3 baths, office and more. Tons of updates throughout. The front patio spans the entire length of the home offering you unlimited possibilities for entertaining or relaxing. The detached garage features 3 bays and is grand in size itself giving you tons of room for all outdoor equipment. Perhaps you need additional hobby space.....this one could offer you that with an additional shop building that merely needs a little TLC. Wait, you still need more? This property delivers with a HUGE concrete pad and near by electric access so placement of another building is easily doable. When peace and quiet is desired outdoors, this homestead won’t disappoint bordering conservation ground on three sides. Don’t let this one slip away, call now.